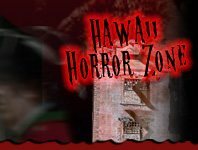 Halloween is another holiday celebrated with fun festivals and parades in Hawaii. It’s the time when everyone comes out looking for a fun time dressed in costume and even if you’re not in costume, you’ll have a fun time seeing all the different characters – some familiar and some oddly strange – come out to celebrate the occasion. Along with all the great sights are fun activities!